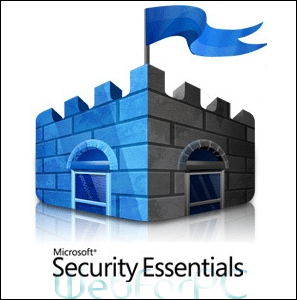 Microsoft Security Essentials Download 32 Bit 64 Bit for Windows. This is latest version of Microsoft Security Essentials (MSE) which is available on a single click. Although people consider their PC safe from all kinds of viral activities, as an Antivirus is there to protect it from such unwanted files and programs, But still its a recommended practice to keep an additional security shield, if you care about operating system and user files. Microsoft Security Essentials is an amazingly good, light weight antivirus protection based program which keeps your data safe from external and removable media threats, covering all kind of viruses, malware, warms, trojans, spyware, rootkits and other theft oriented malicious activities. Microsoft Security Essentials is usually considered as a basic mandatory security measure which does not only provide, an additional layer of security but keep your sensitive data, online transactions and connections protected in real-time. See: Avira Antivirus Pro 2016. Microsoft Security Essentials latest version is best compatible with, Windows XP, Vista, Windows 7, Windows 8, Windows 8.1 and Windows 10. Without any doubt this antivirus solution, just because of its efficient scanning, firewall layered protection, comprehensive removal of threats and light weight, is considered as one of the top and the most versatile antivirus programs around. MSE also offers automatic updates, network traffic (connection) inspection and prompt fixtures for privacy risks. See Also Norton 360 Premier Edition. Scanning capabilities of MSE are also exceptional, as multiple options are being provided to best match the user demand. Microsoft Security Essentials comes with easy to use and clean user interface which would let user customize security settings the way ever wanted. Preferred scanning options would let user scan, emails, particular portion of data drives and external media (USB, SD Cards) as well. In Windows 8 Microsoft’s Security Essentials comes as a Windows Defender and is pre-integrated in that, so you my not need to install MSE on Windows 8 OS in that case.Have a look at: Malwarebytes Anti-Malware Premium Free. Microsoft Security Essentials keep your personal computer at best level of security, just because of exceptional features with which this product is blessed with. Some of the regarded features are also listed below. Light weight yet a comprehensive scanner. Real-time protection is always on. Comes with an option of automatic updates. Quietly stays active and protects in background. An effective malware and spyware scanner for removable media devices. Product Name: Microsoft Security Essentials. Updated Here on: 27, November 2015. File Size: 10.7 MB (32 Bit), 13.4 MB (64 Bit). Compatibility: Compatible with 32 bit and 64 bit systems. System Requirements: Windows OS, 512 RAM, 500 MB Hard Disk Space and 1.0 Ghz Processor. If you are looking for a light weight still a comprehensive Antivirus (loaded with all conventional and advanced features) product with real-time protection, MSE would be a wise choice. Clicking the download button below would let you get Microsoft Security Essentials offline setup for latest version just in a single click.